It's been a while since my Civic post. Figured I'd upload my recent adventure. Today we have a 2017 Audi TT. Awesome piece of kit and the red is stunning as with metallic flakes. 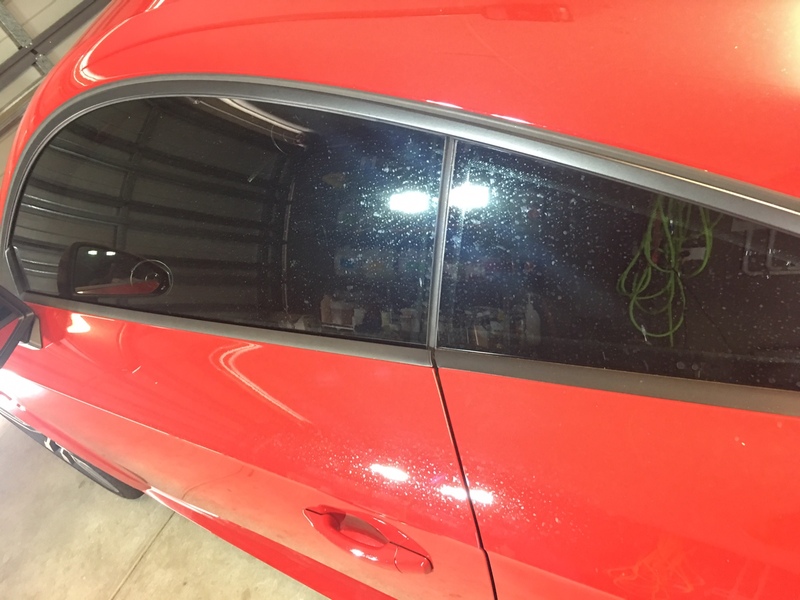 The car came with lots of nature contamination, swirls and my client would like swirls removed followed by coating. This post will be picture heavy and high res as it's very hard to see in lower resolution. The car appears to be flawless even before I worked on it but as I dug deeper, it was 39 hours worth of work. Decided to skip outlining the list of tools and products I have used and will caption as I present the photos. Tree saps, water spots, medium swirls, general dirt. These saps all over the car. Overall the car is good with no visible scratches. But this was before I touched the car. It was only post wash, I started to realised I have a bit more work to do. Foam mix was magifoam/apc/c18/tfr. I needed a strong mix to get rid of these saps mainly. Looks great with water still wet on car paint. First signs of RIDS while doing test area on bonnet. The german paint on this car was very hard and I had to do 6 test areas to get the combo I need. More taping as I was almost fed up with the paint. It's bullet proof with DA, had to use the rotary. Trying to save clear, wetsand only affected area rather than cutting with MF pads. Started to spent too much time on correcting RIDS and decide more move on with initial cut over whole car and get back to these nasty defects. Improper washing or pig tails prior to current ownership. Not the best light, after paint correction stage. Wash again before coating work. 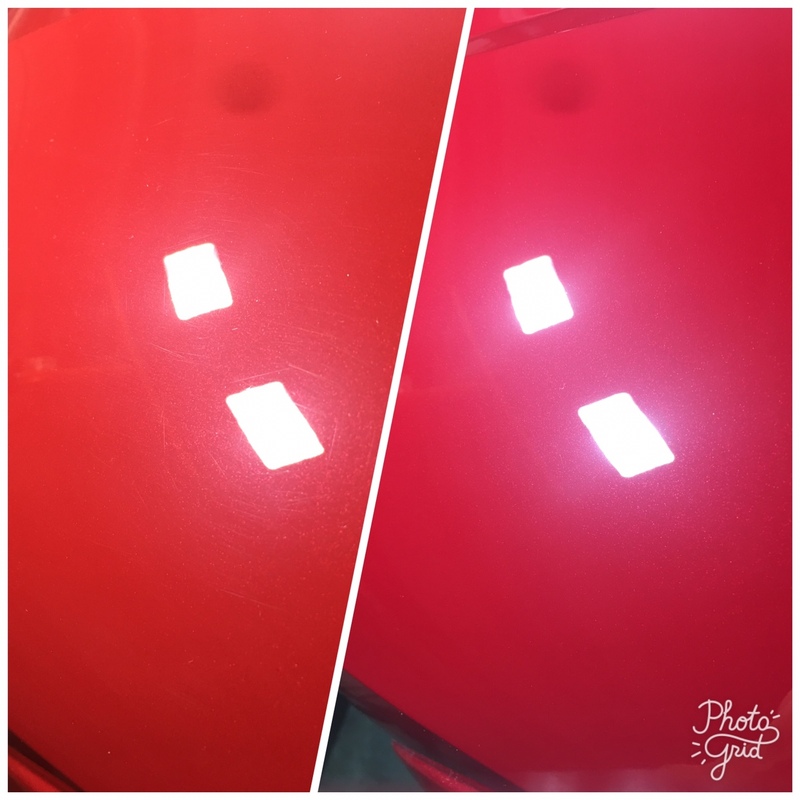 Top after paint correction, bottom after coating. Poor light did not give post coating justice. Hoped you enjoy viewing as much I did working in the car. The car was aimed with 95%+ perfection and hence took longer than I would like. But the results were great and client was very happy with the work. Thanks and next car might be a BMW sapphire black . Glutton for punishment. Last edited by Locuss; 07-10-2017, 08:35 PM. Huge turnaround, mate. Mammoth effort involved too. Well done! Thanks Mick! Learnt a few things with that car. Be cautious with hand sanding on these. Can see a 30 micron drop from the top of a panel to the bottom. Did you have a paint depth gauge? Great work getting this much done in under 40hrs. Thanks Trewarin. Yes - managed to get the Pdg. Your right about the variance in microns. I was sanding pretty light with 3000grit and had to be realistic with deep ones. Looks good mate, a nice result. It's a sharp looking car and it looks great now. Wow what a fantastic job! Really like the new TT's with the aggressive styling. What combo pad/polish did you use to remove the swirls? I had a friends VW R36 Passat the other day and jesus that paint was hard as diamonds. and menzerna hq400 combo with microfibres pads. Then Med to finishing compound to finish them off. Ideally rotary with wool pad would be ideal but I did not have enough skills to do it safely. My apologies for slow reply. Main job has been crazy. What coating / LSP did you use?